I had it for a minute...and then I lost it. I swear I understood why someone built this car...YES, got it again...nope...gone, lost, kaput. 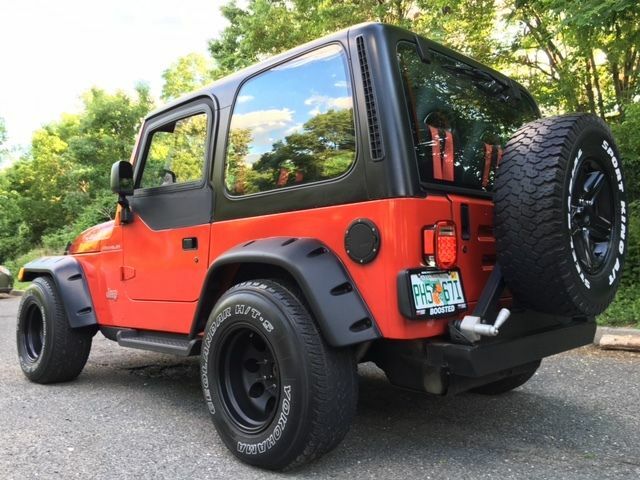 This is such an interesting combination of Supra off-roading capability mixed with Jeep speed and JC Whitney style that I haven't seen in a long time...or ever. 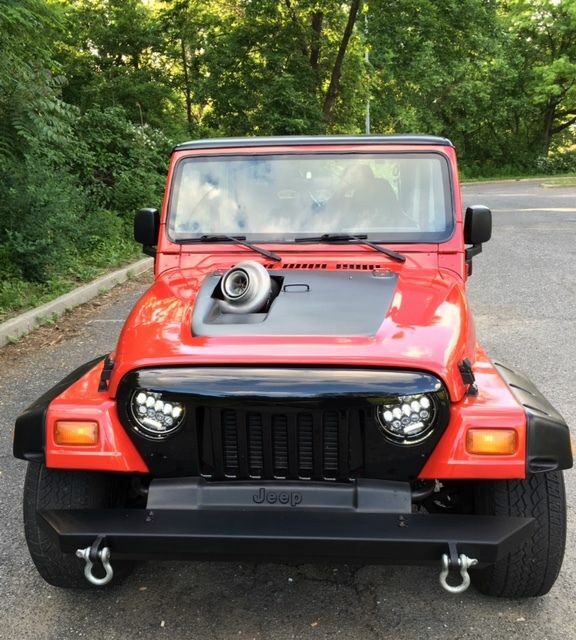 Find this 1997 Jeep Wrangler with 2JZ turbo power here on eBay offered for $18,500 buy-it-now or make-offer located in Elmhurst, NY. The twin-turbo setup sticking out of the hood starts with an un-filtered (they seller probably has a bolt on filter) turbocharger inlet that sticks clear out of the hood like a campanile giganteum fossil from a museum. The 2JZ-GTE inline-6 under the hood runs a stock ECU running 15psi of boost with a compound Borgwarner S372 & Holset HX35 turbo setup. The seller says the car makes about 350 horsepower with current tuning, but it would certainly make more if you could get more fuel into the engine to help with the GIANT turbochargers. Is that top turbo not vulnerable to sucking in leaves/insects etc and exploding? 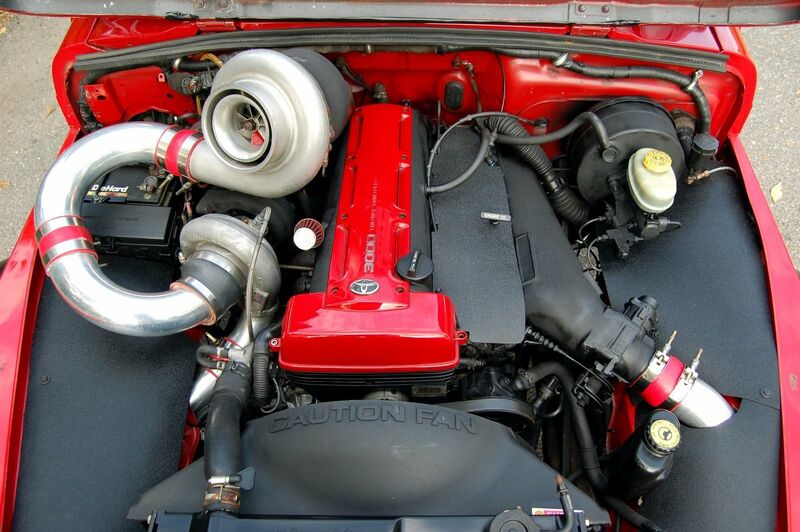 Vince - you should know better - that is a series turbo setup, not twins! Let's not propagate misuse of nomenclature. I said compound later on. I did use the word twin...which maybe I should have said sequential. Dos turbos. Muy...muchos...turbos. Muy guapo turbo setup. THERE ARE MANY TURBOS AND THE ONE STICKING OUT FROM THE HOOD IS GOING TO INGEST A PELICAN THE FIRST TIME YOU DRIVE TO THE SEA SHORE. The turbos make about as much sense as the welded diff.